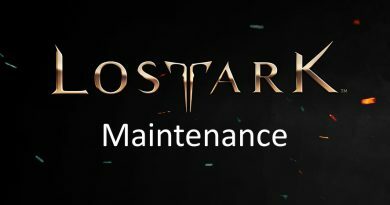 C'est maintenant une habitude, comme chaque mercredi, une nouvelle mise à jour a été déployée sur les serveurs coréens de Lost Ark ! 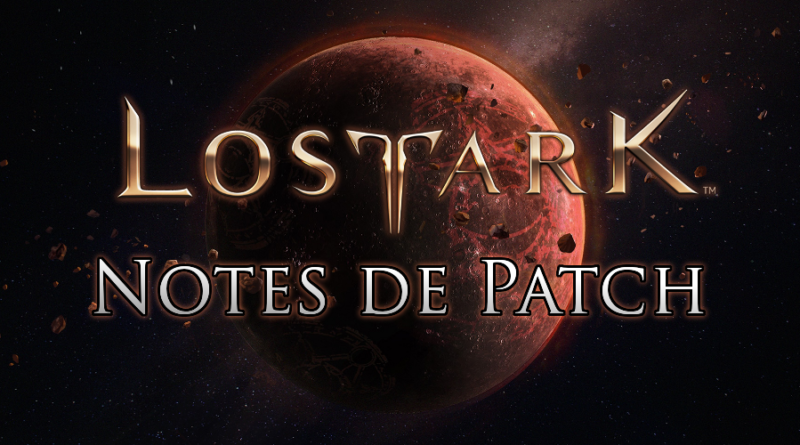 Voici le patchnote en anglais du patch du 20 mars 2019. ■ The island's heart reward has been renewed. Island's mind collection reward has been changed and added. Most of the island's mind collection of 1 ~ 65 compensation has changed. Some rewards can only be received if they meet item level requirements. The island's mind has been added to the collection of 66 ~ 70 rewards. Even if you have already received the reward, you will be able to re-receive the mind compensation of the newly changed island. However, the following items can not be duplicated. The items of the island that were in the warehouse and inventory were handed over to the stone statue of Opperium. We will pay for the island's mind points that have not been received, including the number of items of the minds of the island that we had before the renewal, by mail in the game at the time of the regular check (March 27). We appreciate your patience and understanding that it will take a week to complete the process to ensure that no losses are incurred. ■ We adjusted the difficulty level of acquiring the heart of some islands. We have downgraded the difficulty level of acquiring the minds of the islands below. 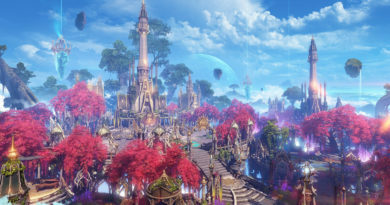 ■ Silmael battlefield Added two new Guild Wars base. New Guild WWII base "Battlefield of Blue Dawn" has been added. Added new Guild Wars base "Rusty Metal Land" . ■ Field Hand boss 'Harmage Don' in Handel continent is newly appeared. 'Harmegadon' appears in the destroyed Jenna, and with the various rewards at the time of the treatment, you can acquire the 'contaminated third elemental ceremony', the final ingredient of the adventure's Zekubas. Added Roarun of the Handel Continent to the Guide to the Flame of the Abyss. 'In the Flame of the Abyss', the quest is 'The Land of the Elemental [Hard]' Guided Quest. You can acquire 2 dungeon tier items that can be raised to 465 ~ 520 level by polishing in 「Earth of the Elemental [Hard]」. You can acquire 2 items of 「Dungeon of Enthusiasm」, [Soul Stone of Grief] You can exchange [Decision I ~ V] of purification. After completing Radiche Quest, you can accept it through Roarun's 'Semi-Ter'. Quests within the flame of the abyss can be completed after achieving item level 455. The penetration and destruction properties at the destruction of the irrigation area of ​​the black bar have been improved to have the same destruction effect as the cutting property. We have lowered the level of items worn by 5 levels when matching raid. The apprentice raid's battle difficulty has been adjusted more easily than before. Chromania, Calvinistus, Lava Chromium, Heavy Armor, Crassena, and Hell's Hell Gaia. Hell Gaia, Bertus, Revanos, Legioros, Red Dragon's Yoho, and Taitalos. We have adjusted the degree of destruction of Revanos, Heavy Armor, Crassena, and Lava Chromium. We have adjusted the damage of some attacks and debuffs of Taitaros, Berthus, Red Flamingo, Lava Chromium, Levanos, Helgaia, Calvinus, and Chromania. Apprentice Raid Clear Rewards and soul reward payouts increase the amount of raid equipment materials you can build. 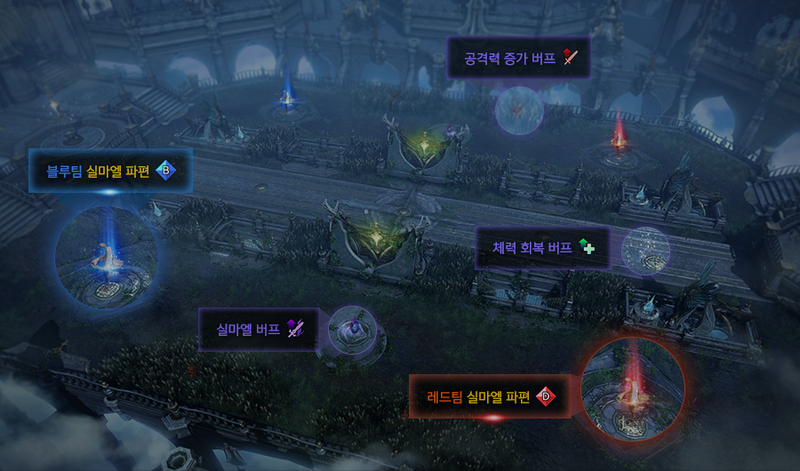 The barricades placed on the Guild Wars map have been changed to match the colors of the Blue team and the Red team. At all guild battlefield locations, the identity gauge-related corrections have been changed to be the same as the battlefield of the proof. Example: The blaster's identity gauge is not initialized after death. 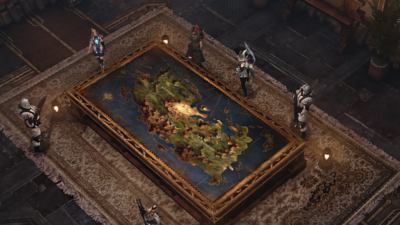 We have reorganized the ranking rewards for all bases in Guild Wars. We have changed the sealing box that was paid in the existing ranking compensation to Sylmele's blood. Pay the same sealing box common to all ranking rewards. Guild rating conditions have been added to the challenge conditions for the following points. Modified the monster regeneration cycle and placement to make it easier to play instruments and enter at the entrance of some secret dungeons in eastern Lutheran, Shussieur, and Ardetain. We have improved to display the contents of the entry when accepting confirmation of entry of Shilian's command. We have arranged that the 6-rank collection from the Lanna-no man's land only appears in areas other than the caves. Ghost ship and field boss monsters have been improved to allow more people to acquire items. Ardetain's Field Boss 'Signatus' has been improved to ensure that the battlefield is not reset on the wall. However, please note that it will be reset when you go out the door. The 'Base Stage' has been added to clarify the resurrection base and the resurrection base in the 'Blood Blood Arena Intermediate'. The name of some ornaments has been changed with the island's heart reward renewal. We have changed the name 'Honorary Earring of the Adventurer' to 'Symbolic Earring of Honor'. We have renamed the 'Ring of Honorable Sea' to 'Pride of Honor'. We have added items that can be exchanged with the island's mind reward to the milestone barter tab. We have changed the recommended item level displayed in the secret map item tooltip to match the secret dungeon accessory item level added through 3/13 update. We have improved to display the area where the Chaos Gate appears in the calendar. In addition to the basic options, additional random item options have been modified so that the effect does not apply to the battlefield of the proof. We changed the name of 'Ability Stone Box' sold in Sura. We have made a more detailed description of the Tooltip description of 'Blood Stone' sold by Sura. We have revised the tooltip description of 'Tangled Tangled Peach' sold at Mureungdo-won more closely. We added 'Weekly Raid Ticket' to the reward guideline for the 4th level raid guardian. We have added 1 rank collection to the giant mushroom island and the island of New Moon. Even if the rank of related life skills is insufficient, you can acquire the island's mind through the added collection. We have added the time available to enter the island. Additional entry is possible at 22:40. Fixed the 'light aura' and 'dark aura' buffs that are used in Suraado not to be blocked at the same time. We have changed the target number of the competition quest 'amazing power game' in Suraado. We added an expedition project related to the island of craving "Cry out the heart from the end of craving" and title "conqueror of craving". Characters that have already met the conditions of achievement will be awarded the corresponding achievements and titles. We have increased the target amount of competition quests of 'Island of Psychedelic' and 'Island of Lively Reed'. During the competition quest of 'Island of Psychedelic' and 'Island of Reed Reed', we have improved to receive compensation if success of assists is achieved once. The boss appearance time on the island has been improved so that you can check the island tooltip and the bulletin board in the island. Twilight Island Dungeon Twilight Chapel's Final Boss When fighting with the Twilight Referee Flauto, the General Monster has been downgraded so that it no longer appears. After matching the contents (Dungeon, Shilian's command, Chaos dungeon, Raid), we have improved to keep the configured party before the normal matching. Preferences - Community - You can decline to join the reconfigured party when you check 'Reject Party automatically'. Fixed typographical and awkward expressions in some texts. We improved the production scene so that the UI is not output during the direct play of Mureungdo circle. The cost of using the square hall has been changed more reasonably than moving distance. When you enter a building with summoned summoned monsters, all of the monsters in your current location are removed. Fixed to display tooltip when mouse over class symbol of basic party UI. Fixed the situation where 'Reason for item level' failure was displayed as duplicate when entering the state that does not satisfy the entry level condition of the weekly raid. Chromium and Calvinus' recommended rune item 'Rune of Ancient Extra Damage' has been fixed. When entering the 'pub' in the 'mane wave harbor' in eastern Lutheran, we corrected the phenomenon that is not intermittent. As the quest 'Chess: Lukequch' in the Handel's Continental Dungeon 'Palace of Dreams' is in progress, we have corrected the problem that the Quest does not proceed even though it has been defeated. 'El Dawin's Dew' in Handel's Forest Dungeon Quest, El Nawin's Leaf Image Production has been fixed and NPC Aben and Turan's position has been changed to an awkward position. During the quest of the "Enemy of the Enemy" dungeon of the Ants Continent, the monster count was not achieved, but the possibility of entering the next stage through the rock interaction has been corrected. Twilight Island 'Twilight's Claw' Quest is in progress, Fixed the problem that the quest guide button malfunctioned at certain stages. When a monster is shot at a specific location in the Tower of Fate, it is pushed to the top of the blocked stairs. Fixed a situation where you can not jump from a druid Prologue area 'Delphi' to 'Difficulty'. Balpurgis Island Dungeon 'Balpurgis Night' During the process, the basic attack of the wizard series can not destroy certain objects have been fixed. Trees that are created after logging in a secret dungeon When you use the 'Rapid Growth' skill, you can not cut the generated trees. As a result, the Handel area 'Destroyed Xenah' does not update the target related to a specific quest. Fixed the problem that the stage is not cleared with a low probability even if all target monsters on stage are eliminated during cube progress. Corrected the phenomenon that the Quest can not be accepted and the interaction ends when proceeding with the favorable quest 'Incomplete'. We have changed the maximum capacity of Blue Hole Island to 20 persons as in the announcement. Fixed the phenomenon that when you clicked the location guidance icon of 'Sura Do' and 'Blue Hole' island, it led to the wrong location in World Map. Fixed the phenomenon that the quest target number is not renewed intermittently when sitting on a chair while in progress in the quest 'Gosung' of the Going Island 'Gosung Atalanta'. Quest of Mureungdo Won 'Seungmun to find' Seungmari Quest in progress Item has been improved to use items that match the contents of the quest. Fixed the problem that the 'Gacktail Hunting Guild Line' to Berne moves to the wrong route. In the town of the fugitive 'Quest Records' during the quest, when the NPC Daemon talk to the interaction screen, the phenomenon where the character is located in an awkward place. Fixed the phenomenon that the 5th reward of "competition scream of the ghost of the ghost" and "game of amazing power" is paid abnormally. Twilight Island Dungeon 'Twilight Chapel' Quest 'Twilight Voices' in progress Fixed a phenomenon where no monsters appeared in the 'Organizing the Elderly Room' phase. Bard Victory Sentence 'Song of Wind' Buff The phrase described as 'harmony' in the tooltip has been changed to 'suppress'. Fixed the problem that when using the Destroyer 'Earth Eater' Tripod 'Rock Storm', the icon in the skill shortening window does not change to the holding skill form icon. Fixed a situation where the handicapper 'Flare Flare' skill's disabling numerical value does not match the tooltip description. Fixed the phenomenon in which the surround sound including other characters can not be heard when using the resonator 'Gin: Extreme Extinction'. Berserker 'Red Dust' skill 'Damage Boost' tripod tooltip Corrected misleading content. Before change: Attack damage increases by 30% for 6 seconds for target and party members. After the change: The attack increases the damage effect of the target is changed to the self and party members. When the graphics option is 'low', the effects of the Devil Hunter 'Equalibrium' skill are overrepresented. When Summoner summons the pet, "Marilyn," other characters can not see Marilyn's position and movement speed unnaturally. Corrected the phenomenon that Paurol attempts to move when moving to Pau from a terrain with elevation difference. Fixed the problem that when the effect of Summoner 's Shadow' s Tripod 'Collision Ignore' is applied, the effect disappears even though the applied effect duration lasts after the applied effect duration. Fixed a problem where SmartPing was enabled on the battlefield of the proof. Proof of battlefield battle and competition in progress, Blaster's identity 'bombardment mode' when using the camera viewpoint is not seen normally corrected. When attaining the first rank of the maximum rank in the battlefield of the proof, the battlefield result of the proof has been modified to display the UI abnormally. Fixed an issue where the entry condition of the raid was not displayed abnormally in the milestone. Fixed the problem that the acquisition point of 'Attached Duck Tears' item tooltip is listed incorrectly. Fixed the phenomenon that the item 'Storm Anchor' icon image is applied as a flag instead of an anchor. Fixed the problem that the damage sustained by the flame was low in the tooltip description of the battle item 'Flame Grenade'. Fixed the problem that the actual number of thunder damage occurrences among the three tooltip descriptions of Battle Items 'Thunder Potion' do not match. Fixed the tooltip content of the battle item 'Electric Grenade'. Before change: Throws a grenade, causing [Brain] property damage to N times, and causing N current damage every 6 seconds for 6 seconds. After the change: Throw a grenade and damage [Brain] property by N, and damage it by N for 2 seconds every 2 seconds. Increased perpetual abilities in item dictionary We have modified the item to be updated every time the item dictionary is opened. Fixed the phenomenon that the item tooltip of the practice imprint box is displayed differently from the actual component. In the milestone circle detail information of the circle, the phenomenon that "advanced recovery medicine" is registered in the recommended item was corrected. Fixed the phenomenon of 'Battle Item' being registered in recommended item in the detailed information of the number of milestones in the milestone. Fixed a problem where the tooltip of the Battle Item 'Flash Grenade' does not match the amount of damage actually applied. Fixed a problem where when dragging an item while dragging an item in the expedition warehouse while dragging and dropping an item while dragging, it tries to destroy the item while the item destroy popup window is not displayed and an unknown error message is displayed. Fixed the phenomenon that the item information of 'Nine Tails' is displayed abnormally in the web item dictionary. Fixed the problem that the effect of card skill tuning (damage) from 'Card Holder' to 'Guardian Eo' is different from the actual effect. Fixed a situation in which the NPC tilted significantly due to a specific terrain in the 'Red Sand Desert'. Fixed the intermittent exposure of portal symbols in 'Beginner's Beginner'. Fixed the phenomenon of intermittently shaking the screen after completing the island quest 'magic song on a sleeping song'. Various items that can acquire emotional expression have been modified to be available only in field, city and island. Fixed a problem where the graphics are displayed incorrectly when the '21: 9 resolution forced 'and' stepped protection 'options are set to' High 'while the NPC outline is displayed. Fixed a problem where the recommended battle items of Sura are displayed in milestones. Fixed a problem where an improper guide message was displayed when trying to use a quest start item in a raid map. Fixed the message that the message 'Restart option is required' is displayed on chat window when entering environment setting. Fixed the phenomenon that when items in list of items are clicked on the exchange, they are not clicked intermittently at once. 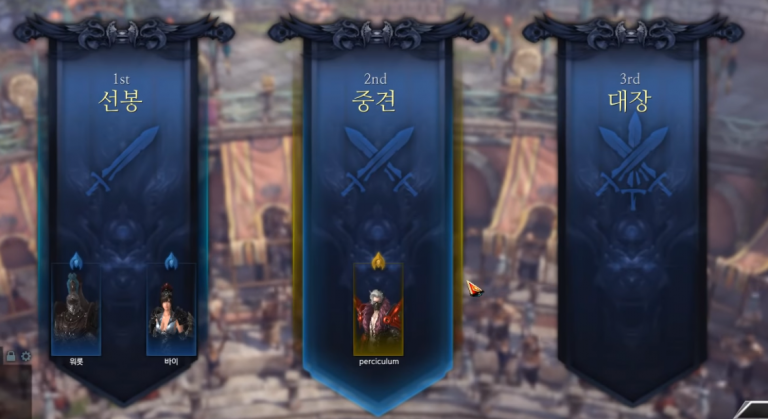 When creating a character, clicking on the upper right root class icon in the class selection screen to change to another root class, Fixed the phenomenon that the lock icon is briefly exposed in the 'Preview' class area at the bottom right. When a monster uses a certain skill, the smartping display is displayed in an abnormal place when using the targeted smartping. Objects have been modified to disable targeted smartpings. Fixed the problem that 'Ctrl +' text menu is not displayed when moving mouse point to class symbol after converting party UI to abbreviated version in party state. Fixed the phenomenon that 'NPC Kalisar', the raid equipment of 'Berne Castle', does not seem to be holding a hammer. Fixed a problem where the hammer sound can not be heard when commissioned by NPC Sabis, the production of the raid equipment of Roarun. Fixed the problem that after the Platinum field termination, the remaining quantity of life tool displayed at the top of the character does not disappear intermittently. Corrected the problem that wrong character is displayed at the [OK] button position in the result window when polishing is completed. Fixed the phenomenon that the leg part of NPC is intermittently buried in the ground in Antsu continental "Wisteria Hill". In the party state, we have improved the notification window and message displayed when entering the command mode of Shilian to be exposed by the name of the content used. 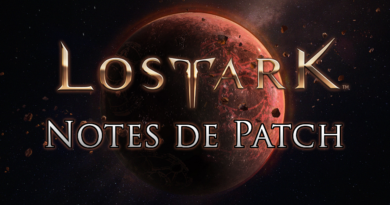 Je pense que nous aurons une version de Lost Ark 1.0 pour la sortie européenne (et autre) du jeu, sans les ajouts récents. Du coup il est possible qu’ils bossent dessus tout en bossant sur l’autre en même temps, deux équipes pour deux versions du jeu différentes. J’espère aussi que nous aurons des news rapidement ! c’est c’que j’me dit aussi mais bon si on sais qu’un jeu de base est mal opti et qu’on à déjà des amélio c’est pas foufou de le sortir sur la version downgrade >< plus qu'a attendre !